Project Arkadia Forum - What do we want to have in a Skill Tree? Project Arkadia Forum > Development > Design > What do we want to have in a Skill Tree? 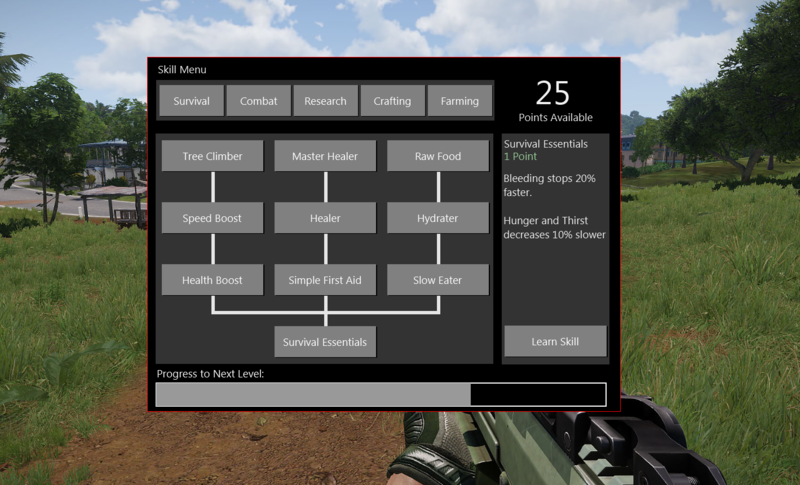 Full Version: What do we want to have in a Skill Tree? (01-14-2018, 10:38 AM)Stephano Wrote: [ -> ] I really like the idea that you have to level up to different tiers to unlock special abilities, rather than getting something new every time you level up a skill. Horse riding could be a part of the "Survival Essentials", as we are planning to have that in early on.